Roles define what the user has access to. This system allows a great deal of flexibility, giving them the ability to see all or only some of the functionality available in the system. Roles can be added or removed from the user as required. Each environment has separate roles defined. By default when a game is set up there are two roles created for each environment. 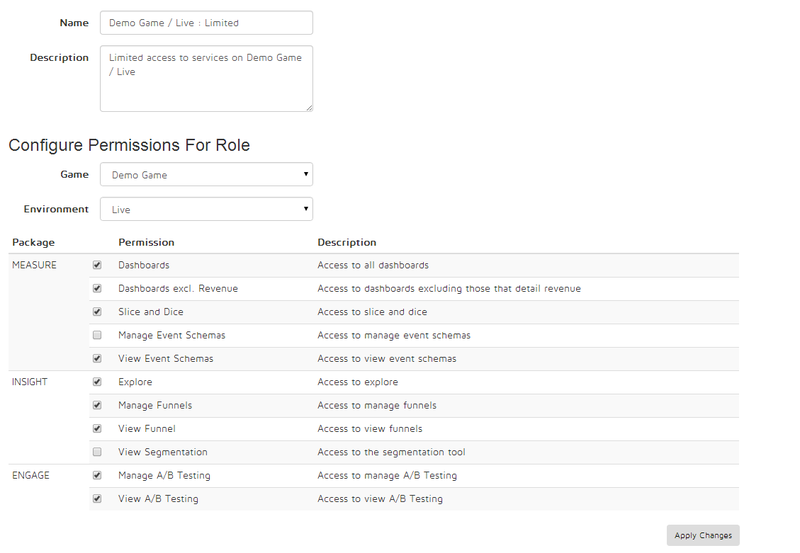 The ALL role gives access to the full set of functionality available, the Limited role removes the ability to manage events. These roles can be updated and edited as required. New Roles can be added and these can then be granted to users. This allows complete flexibility in how the system is used and managed.